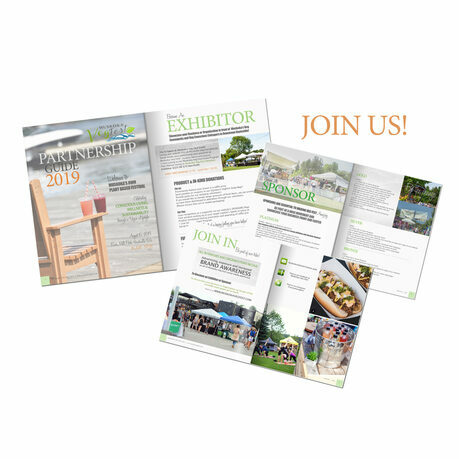 MUSKOKA VEG FEST 2019 is now OPEN for Exhibitor Space! We thank everyone for taking part and look forward to a SUCCESSFUL FESTIVAL this past summer and look forward to seeing you all again in 2019! BE PART OF A HUGE MOVEMENT AND SHOWCASE YOUR BUSINESS IN COTTAGE COUNTRY! What kind of products/services do you offer? What time does the Festival begin & end? The Festival runs from 10AM-5PM on Saturday, August 10, 2019. When is the earliest date & time that vendors can set up? Setup is from 8AM-9:30AM on Saturday, August 10. If you need to arrange an alternate time, please email us. Will there be a refrigerated storage unit available? At this time, we do not have refrigerated storage. Many vendors bring large coolers with dry ice. How much product should I have on hand? Exhibitors should plan to have adequate amounts of product on-hand to sell. If you run out of product, you must maintain your table and greet prospective customers until the end of the show at 5:00pm. Under no circumstances can you close your table down during the show hours. How much product should be brought for sampling? Sampling is not required, but is very much recommended. Sample as much as you are comfortable with. Attendees love trying new foods at the festival. What are the dimensions of the selling/sampling area and table? The vendor space is 10x10, and your table can be up to 2x8. Are there any food and beverage restrictions that we must adhere to? Yes. The restrictions are outlined in the Exhibitor Guidelines Page. What type of signage should I bring? Each Exhibitor must have a banner indicating the name of their company. Signs can be made of any material and type; however, a professional appearance is requested (i.e. no handwritten signs unless done by a professional calligrapher). No signs or banners may intrude into the aisles or substantially block the view of other Exhibitor tables. The sign can be affixed to the front of your table or it may be free standing behind your table. Note that most exhibitor spaces do not have a wall or curtain behind them to which signs can be affixed. When do I need to load out by? Load out and clean up of your site must be completed by 8:30 pm on Saturday, August 11. When will I find out the location of my exhibitor space? A final “floorplan” will be sent to you at least a week prior to the festival. What permits are needed to participate in the festival? All Exhibitors are required to e-mail copies of any necessary business permits, licenses, operating licenses (food & beverage vendors), etc., at least one week prior to the day of the show. Please bring physical copies with you on the day of the event. Please note that the parking lot AT the park will not be available for parking during the event.